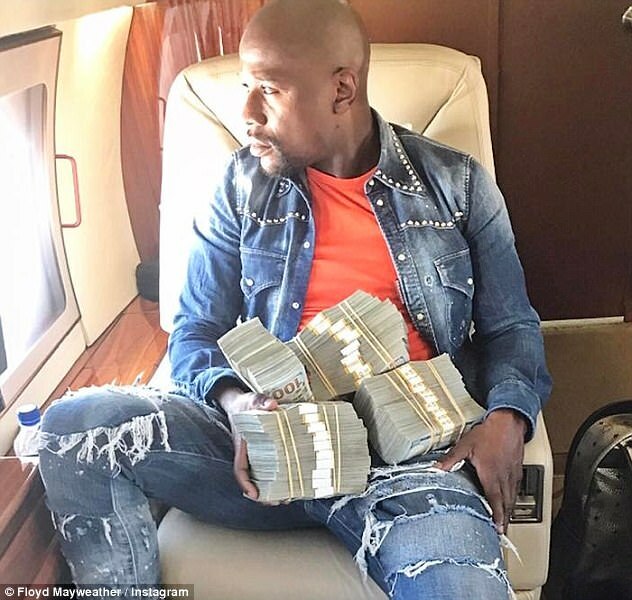 Having already conquered the world of boxing during his perfect 49-fight career to date, Floyd Mayweather has now set his sights on the NBA. 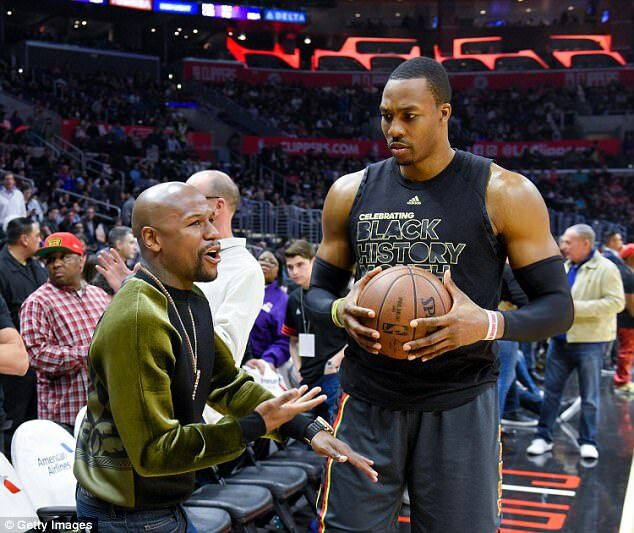 The four-division world champion is retired having last fought in 2015, though the prospect of a bout with UFC star Conor McGregor looms large, and has been a regular courtside attendee at NBA games across the country in recent months. 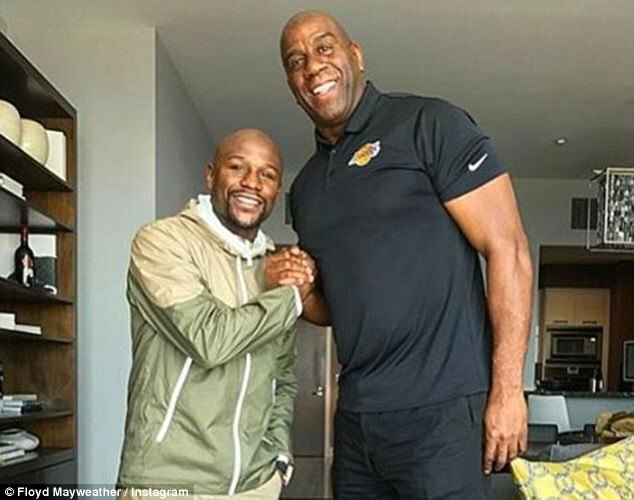 Mayweather has posted an image of him meeting with NBA legend Magic Johnson, now the president of basketball operations at the Los Angeles Lakers, and has stated his desire to purchase a franchise. He wrote: ‘Just had a great meeting with @magicjohnson. That may well be easier said than done, given there are only 30 teams in the NBA which are largely owned by some of the world’s richest people. 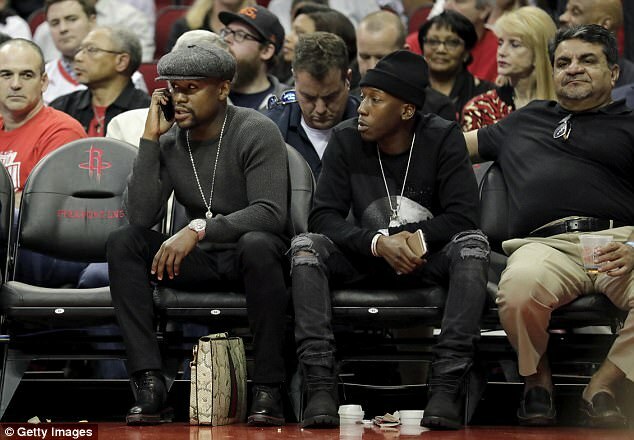 Mayweather is a regular at Staples Center to watch the LA Clippers, owned by former Microsoft CEO Steve Ballmer, while Russian billionaire Mikhail Prokhorov owns the Brooklyn Nets and the Kroenke family head up the Denver Nuggets. In addition, Chicago Bulls legend Michael Jordan is owner and chairman of Charlotte Hornets and Usher is a minority owner of the LeBron James-led Cleveland Cavaliers. 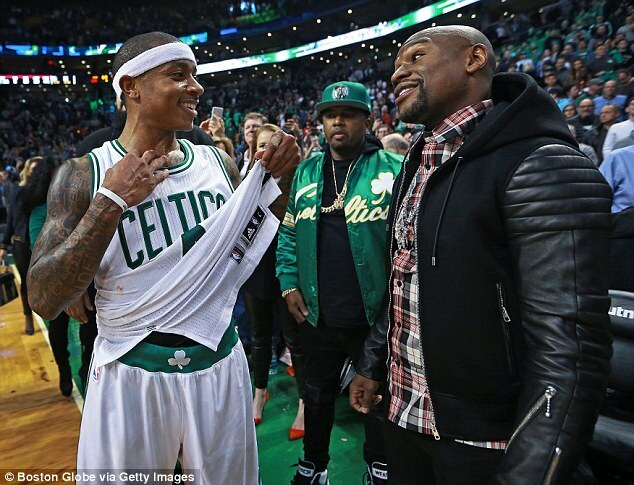 He clearly knows a thing or two about the NBA, though, having posted an image of himself with more than $300,000 on his lap during a flight which he says he won by betting on Isaiah Thomas and the Boston Celtics to win in the play-offs. 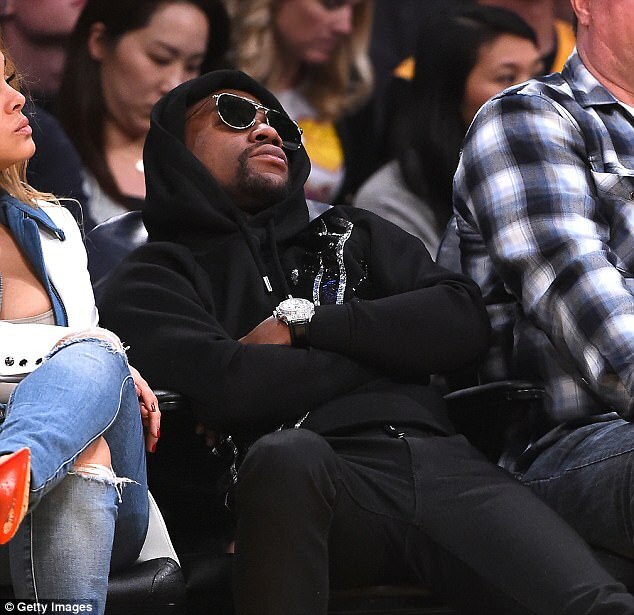 While Mayweather has set his sights on the NBA, he still has the potential clash with McGregor very much on his mind. There are concerns negotiations regarding the contest may have stalled, though, with the UFC worried they may be set to lose their biggest star for good.